Alaskan wilderness getaway. 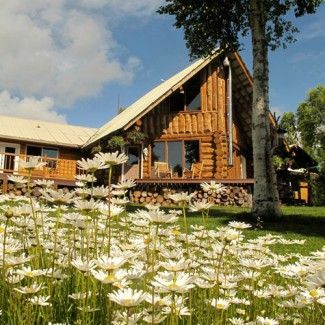 Take a small floatplane to the Winterlake Lodge, a remote, exclusive resort about an hour’s flight from Anchorage. Adventures abound with daily complementary activities designed especially for you. During the winter season from January through April, you can take advantage of their prime location on the Iditarod Trail and go on sled-dog tours and instructions on driving your own dog team, glacier trekking, snowshoeing in the backcountry, and cross-country skiing. In the summer season from June to October, there’s wildlife viewing, river rafting, sportfishing for salmon and rainbow trout, and even exploring for gold. An Alaskan style adventure!